Cabinets come ready to assemble. Drill, wood glue and stapler are needed to complete assembly. 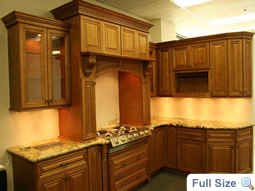 Imagine a kitchen lush with the welcoming warmth and unsurpassed magnetism that only real wood offers. Think about how glorious it would be to be enjoying the same inherent strength that comes with this remarkable appeal. With our line of Cinnamon Maple Cabinets, imagine no more as with our cabinetry series we aim to realize this dream of a beautiful and durable heart of your home. Maple has become among one of the most popular wood choices for good reason. The elegant look that it emanates with achieves a touch of sumptuous luxury with the medium shade of glaze that results to Cinnamon Maple. Its hard-wearing surface works great at resisting scratches and dents that may be caused by the generally busy and laborious nature of kitchen tasks. 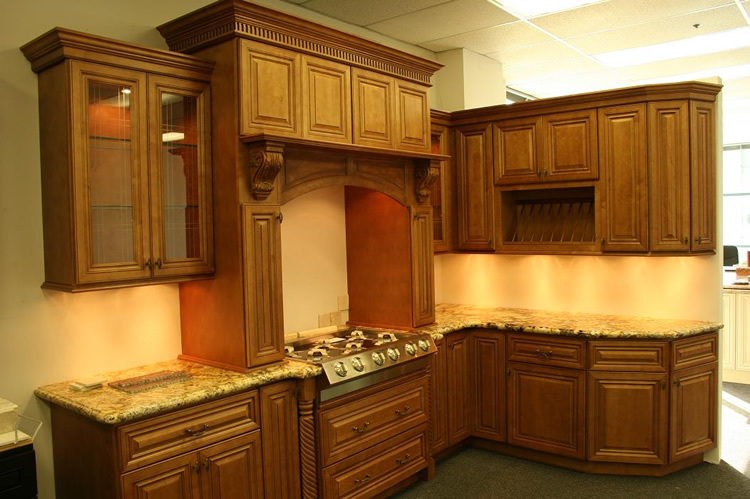 After the time of chores involving cooking and food preparation has passed, their surfaces work endlessly by allowing homeowners, family and guests to lavish at the eye-pleasing stylishness that only the exquisite look of Cinnamon Maple Cabinets extend. 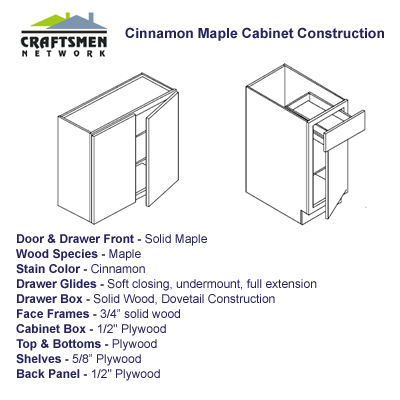 Discover an investment worth your while with Cinnamon Maple Cabinets. These units will not only bring forth amazing value to your home but will also brighten your kitchens with their welcoming appeal making each and every kitchen experience truly enticing. Other than the wood itself, Craftsmen Network takes pride in the attention that we commit with every product details guaranteeing quality to the smallest hardware integrated to make our memorable mark in your home-through our series of beautiful cabinets.